We finally finished the promotional video. 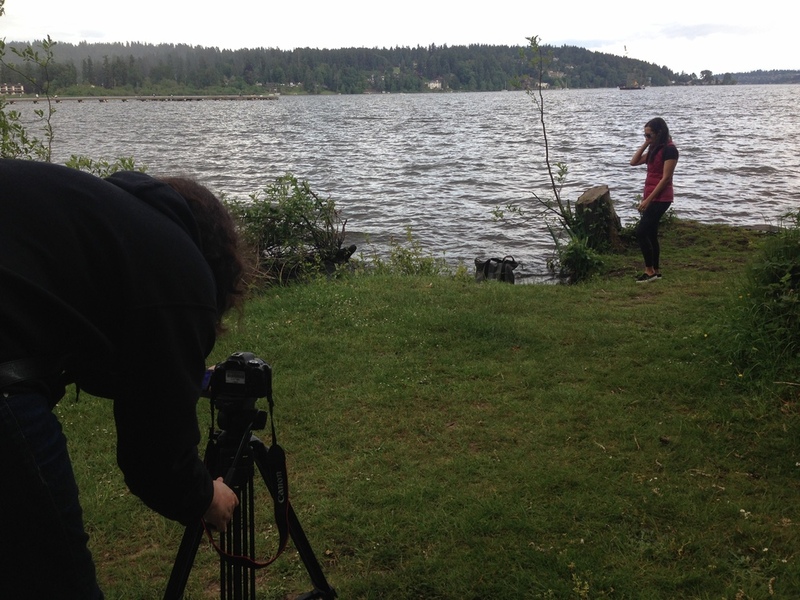 It was great working as a team with the video guys (Nathaniel and Victoria) to produce this video. They made our vision happen and we couldn't be more proud of the final results. We are now getting ready to get the video out there and we will probably advertise it in Facebook to reach out to as many people as possible. 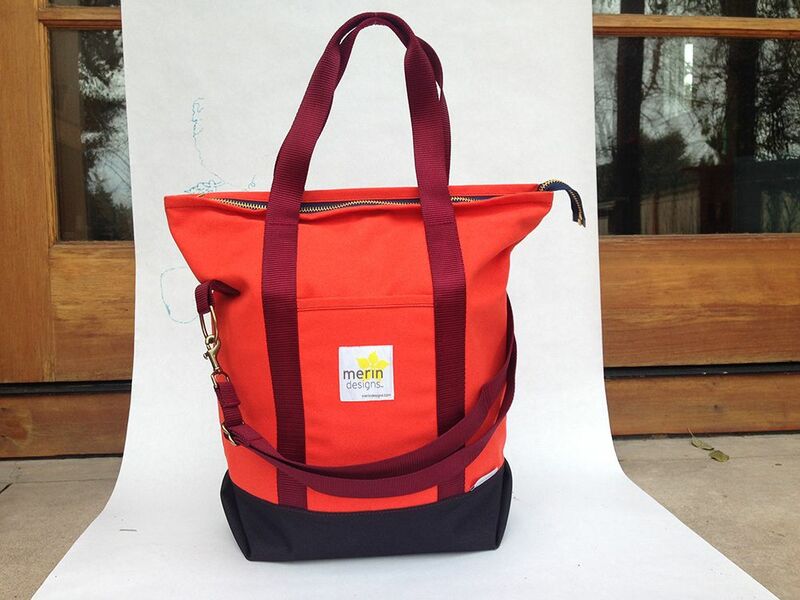 We will probably wait until the next run of bags come from production. We are almost sold out of everything, which is great, but we think it will be more effective if we actually have more bags back in stock! 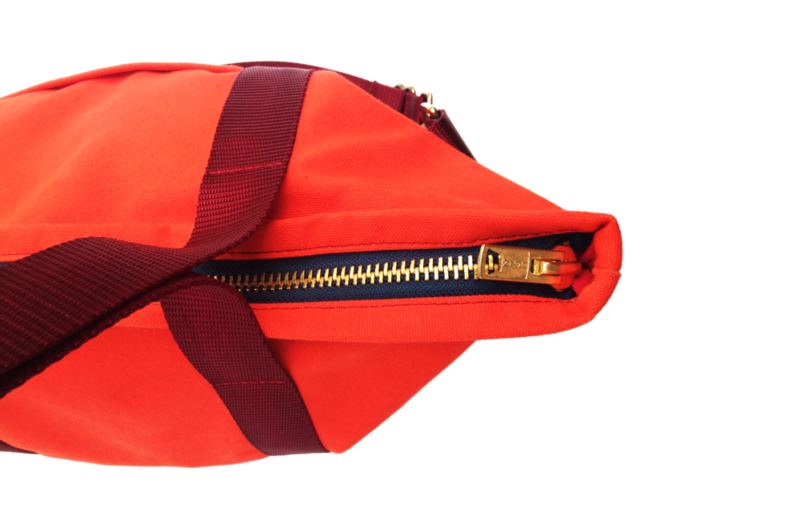 This week I also worked on miscellanious stuff, like emails, some promotional stuff for a bag that is not selling out very well, so we are thinking about ways to make it appealing and promote it on the website and social media. 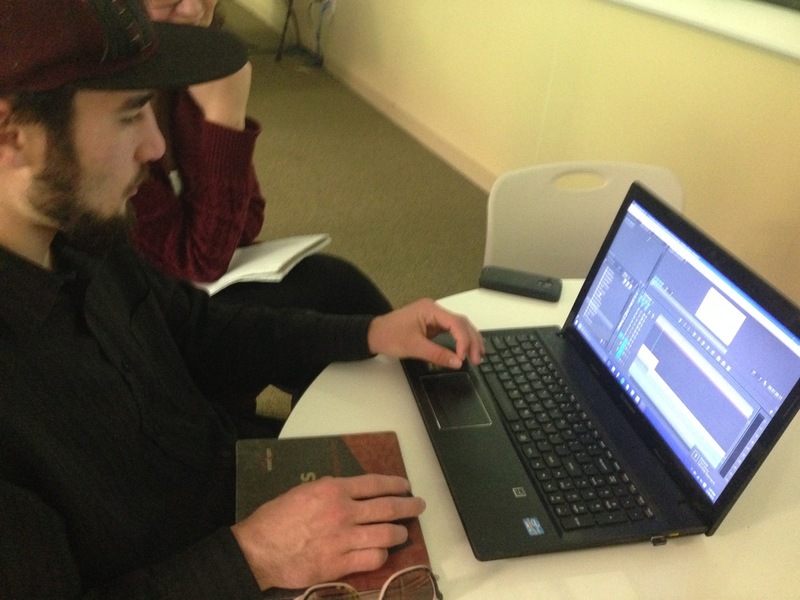 I also worked with an ITAD student to finish the app I designed a few quarters ago. This is not something that the company asked me to do but I am presenting it to them to see if this is something they would like for a future use. Maybe to run contests or to help customers share pictures on social media. I presented this app on the Portfolio defenses last week and it turned out great! Nathan Connors helped me program it and make my vision happen. You can see the web version of the app here. To display it correctly, you'll have to use Safari, not Firefox. There are a few settings that need to be fixed, but you will get a pretty good idea of how the app works! To login use: merin (lowercase) and click the Log In button. This week we focused on the video, finalizing details and we met a few times to go over the b-rolls, interview and making some changes to it. We've actually made some more changes since one of the video guys (Nathaniel) uploaded the video, but this is just a sample of what we have going on and were you can see the interview we did with Kea last week. We still need to add more b-rolls that we recorded this week and polish the sound. I love being the ''creative director'' of a project like this, because I can see that my vision is coming to life, and I enjoy working with a team, where everyone brings its touch and work to it. 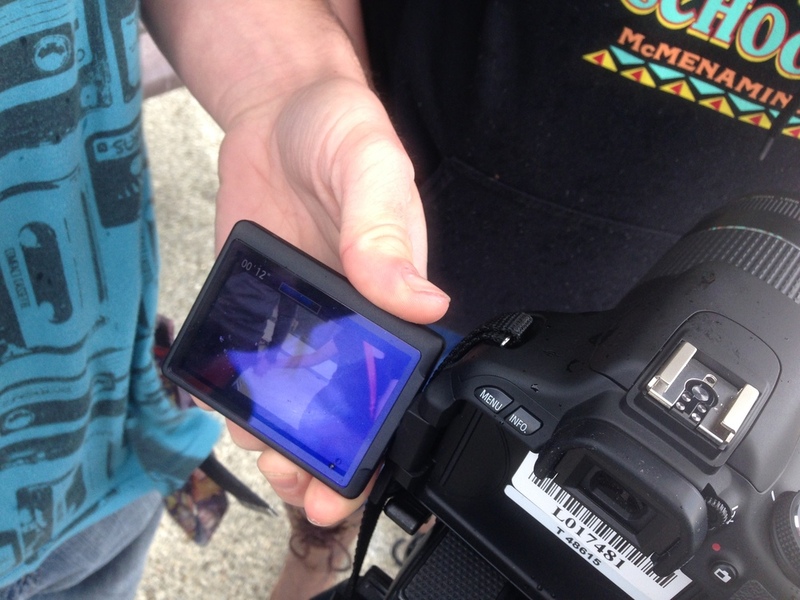 Everyone is so involved and excited to work on this project and I think the final result is going to look amazing. 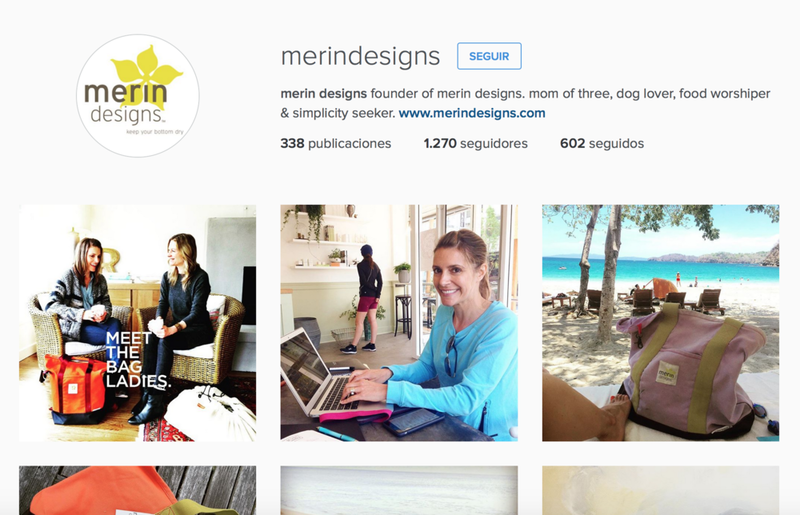 We are going to make a professional looking video for Merin Designs. This is something we've been wanting to do for a while now and now we found the right people to make it happen. I sent out an email to my Portfolio Defenses class asking to see if anyone from the video program would be interested in working with this video as their GAP project that we have to work for our final. Nathan and Victoria Rose stepped out and very excited to create a wonderful piece. 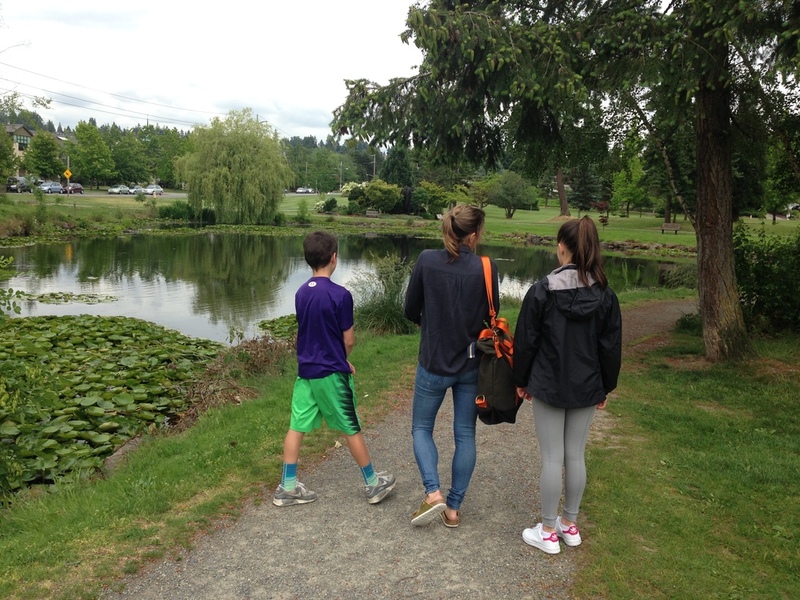 Last week Nathan, Victoria and I met in campus to talk about the goals of the video, to tell them about the product and my ideas for the video. This week we all met with Kea, the owner, to go over more specific details and we had the chance to start recording a few scenes. 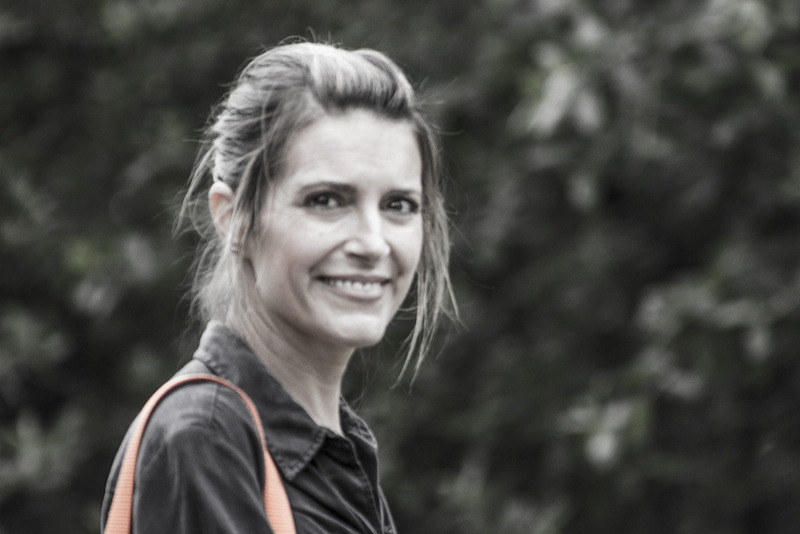 Next week we are meeting again to interview Kea and record her voice over and hear the story of how she started. I am going to prepare some questions to ask Kea. Below is a screenshot of the editing pannel Nathan is working on. 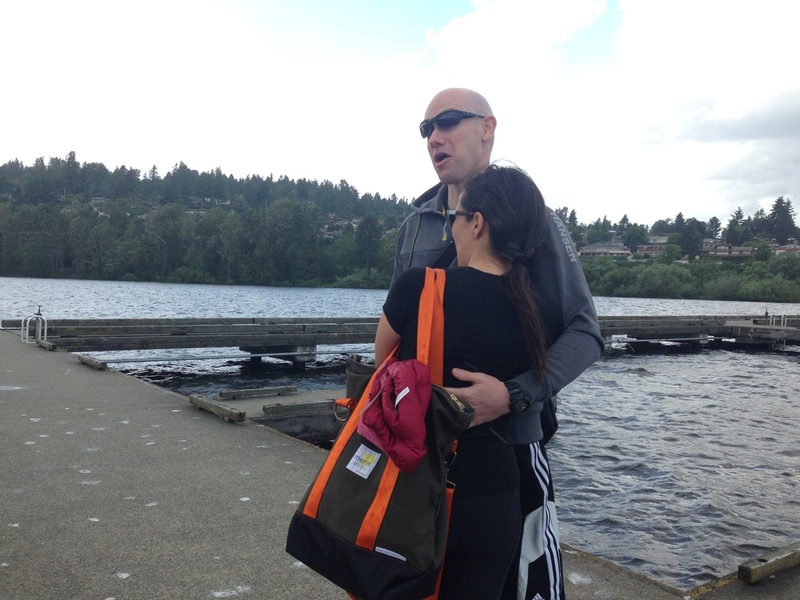 The meeting and recording session worked out really well and for the next following weeks we are going to meet in different days to get footage from different environments, to show that it's a very versatile bag for many uses and very functional. I got the materials and still sourcing a few others and I am now working on the actual product. Hopefully next week I will have some samples to show. This is a short little video of one of the functionalities of the bag that I took in one of our meetings a few weeks ago. I put it together and added music in the background. We will use it for the website and social media. I think having this kind of videos are very important for a product like Merin. I've been posting on their Instagram account. One of my duties in this internship is keeping social media active and interact with followers. Kea (the owner of Merin Designs) and I had a meeting on Monday where we touched base of the work we needed to get done for the next few weeks. It was really helpful to meet to make a list of the things we need to work on and it's been a very productive and busy week. Email marketing templet and content for Swoop + Merin promotion; create the layout and add the text and draft the instructions for the contest/giveaway so that we can finish polishing in the next meeting with the owner of Swoop. 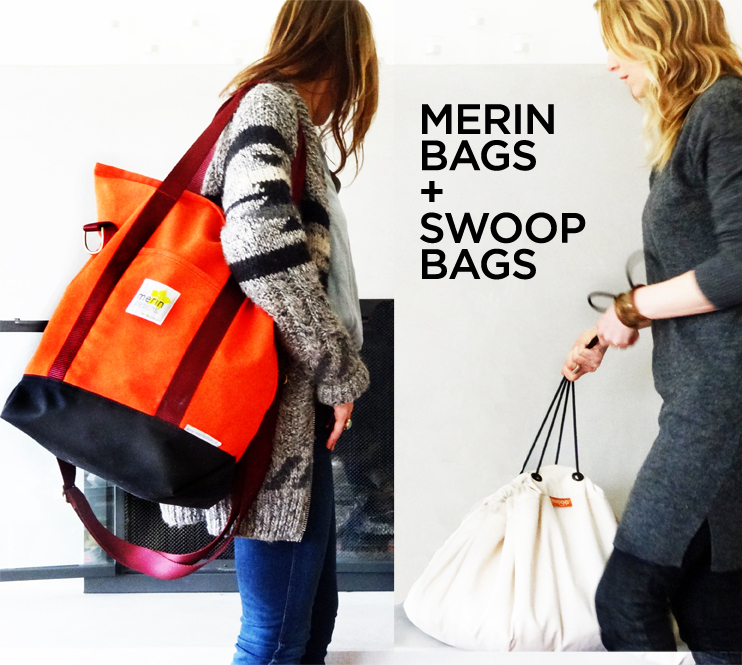 Blog Post explaining the Giveaway/contest Merin + Swoop. Social Media: like, comment and share in Instagram and engage with followers. 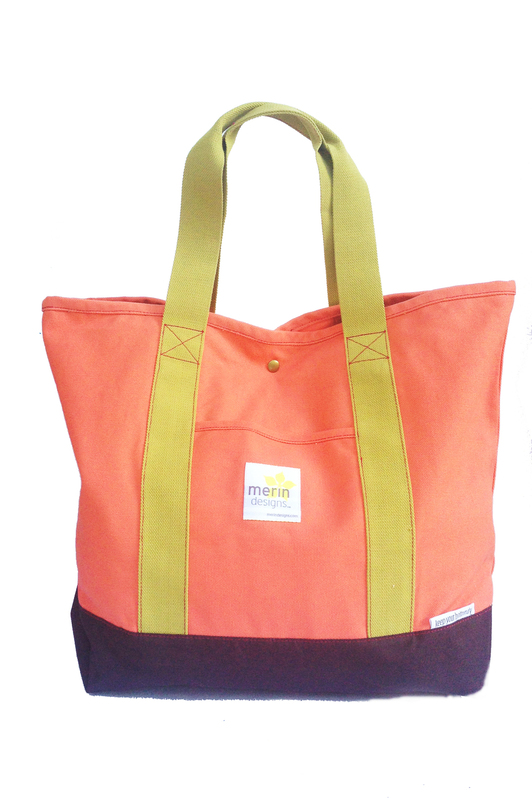 Product shot of a new Merin Bag that will be added in the website next week. 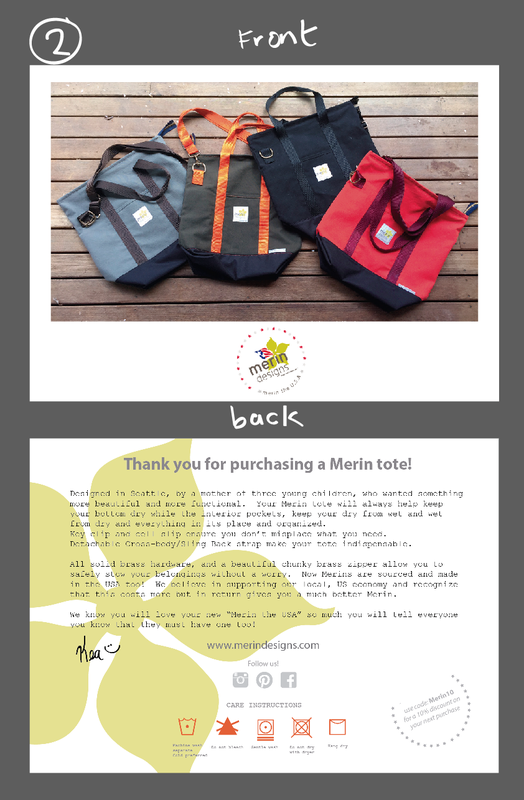 Add the new Merin bag into the website and write the product description. The owner of Swoop Bags (Sarah), the owner of Merin Designs (Kea) and I, met on tuesday to go over the details of the promotion, finish drafting the email that will be sent to the email subscribers and get on the same page of how the promotion should run and how long. I am enjoying this process and it is really fun to be a part of this promotion, where I am learning all the different steps of making a successful giveaway! 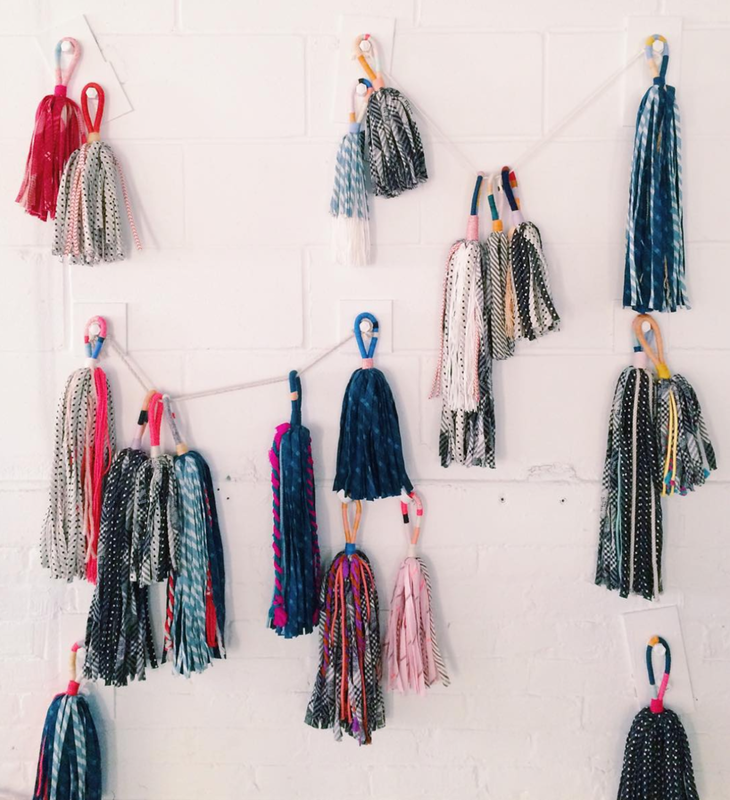 I've been doing some research of the different options of tassels out there and how they are all made. I also looked for the right materials to produce it. I will buy a few material samples to start working on the tassel. 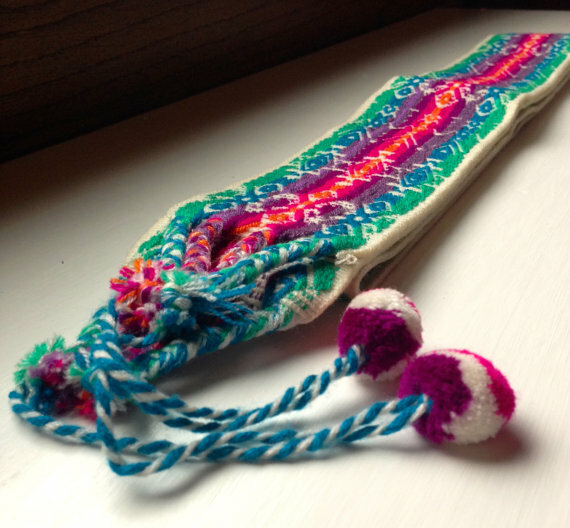 The materials I've been searching are Nylon twisted thread for the tassel and suede leather cord. Next week I will start experimenting with the materials to come up with a great product! 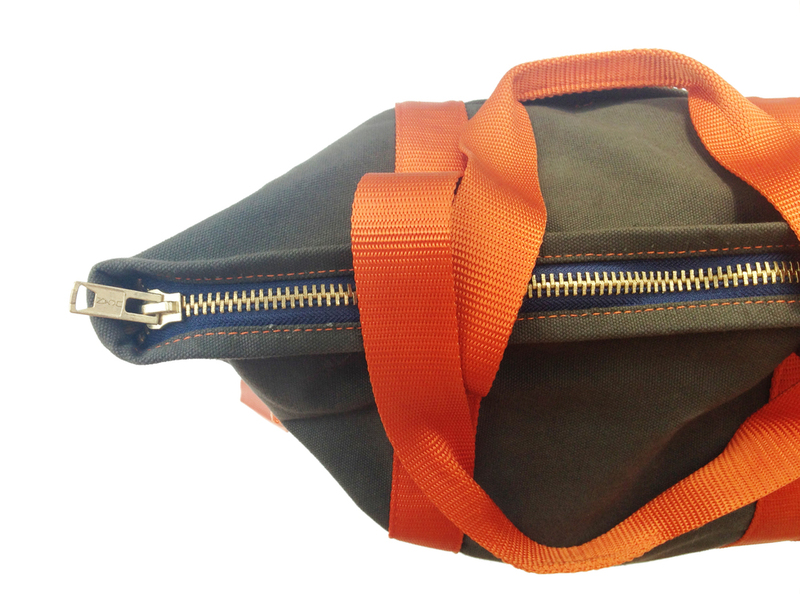 This is another bag I had to photograph this week to add to the website, so I followed the same process as here. 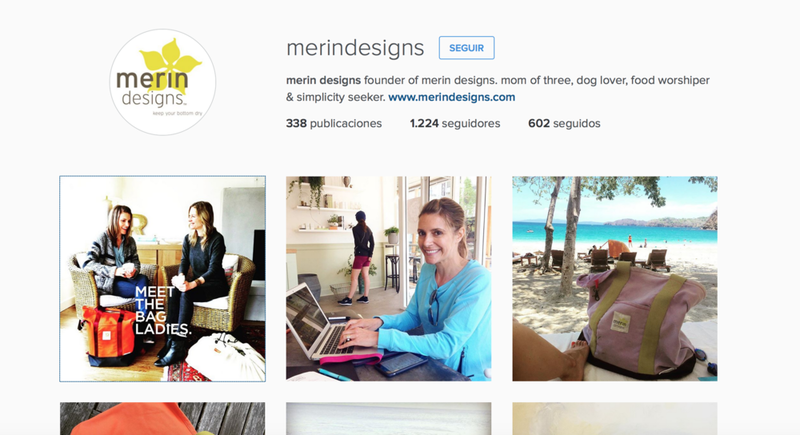 The social media presence is really important for companies like Merin Design. I have access to all their social media platforms and I post here and there. I've been interacting, liking and commenting mainly in Instagram and Facebook. 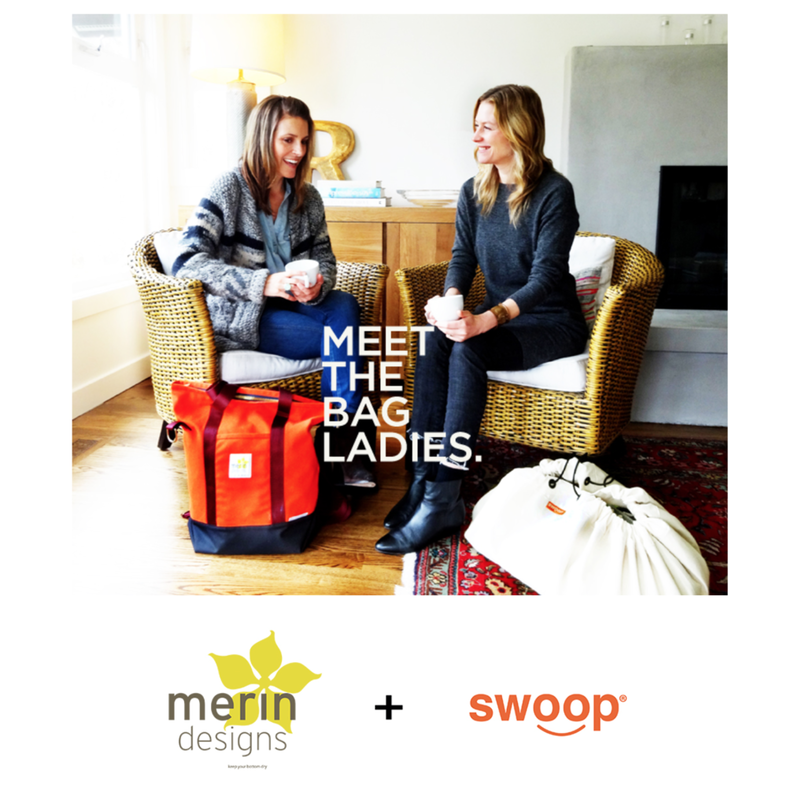 Swoop Bags is another company Seattle based company with a similar story as Merin Designs and we decided to to a cross-promotion/giveaway. We met in the morning to shoot some pictures and videos for the promotion. I edited and selected the content and got the files ready for the web. 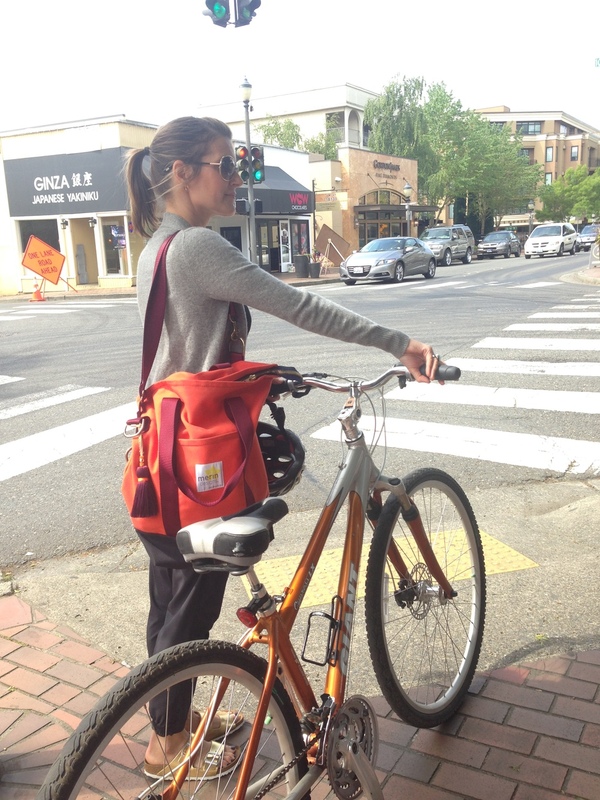 From now on, the Merin Designs bags will no longer be made overseas, they moved production to a factory located in Portland, OR. For the marketing of these new bags, we decided to redesign the logo for any promotional content. I also got the files ready to send to printer because we decided to make stickers out of the redesigned logo to send along with the new bags. We are getting ready to launch the new Merin made in the USA and I made this two design layouts on 5"x7" cards. Hi there! I'm Elisenda Llauradó and I am in my last quarter of the Digital Design program. I am looking forward to learn a lot this quarter and for the opportunity to apply all my knowledge and passions into a company that I love. 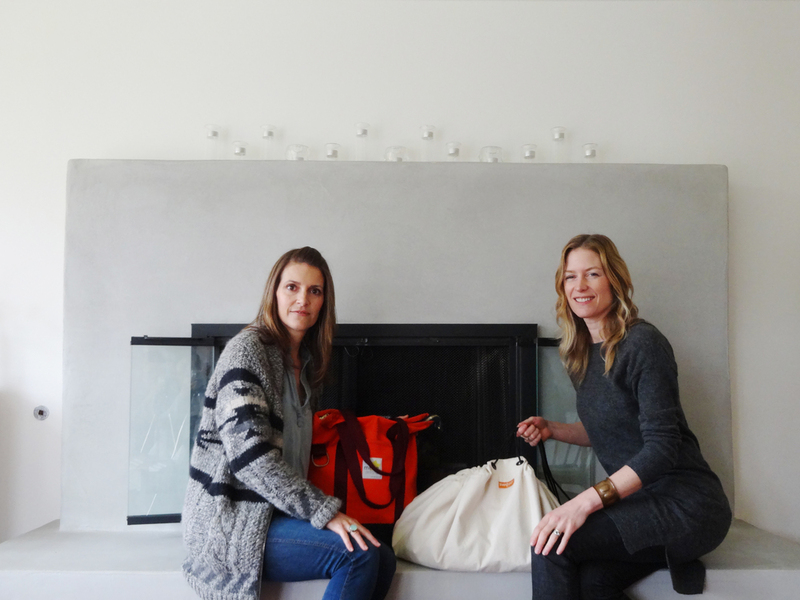 Merin Designs is a small retail company from Seattle that started in 2008 by a mother of three children. 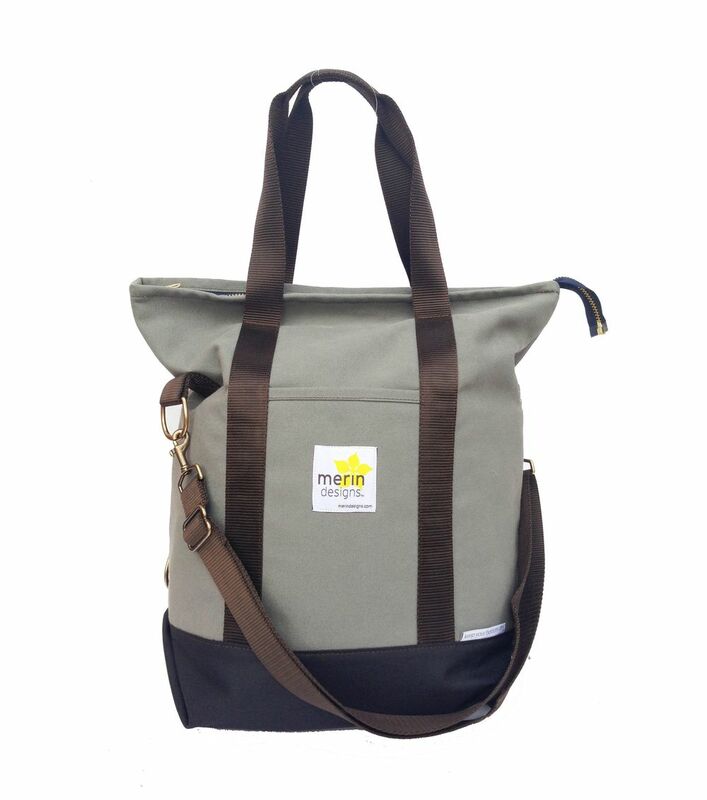 They created a multi-purpose tote bag made of soft, pliable canvas, with interior waterproof pockets to keep your stuff organized and with a waterproof bottom to keep the dry from getting wet. 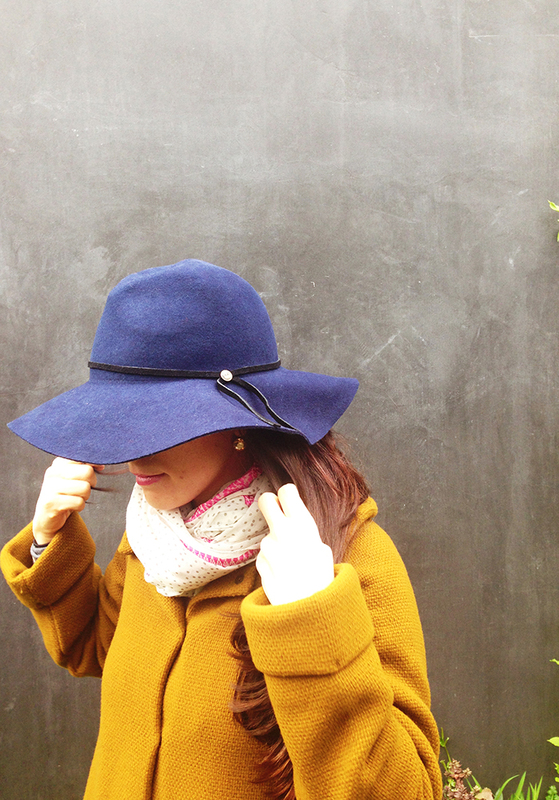 I've worked for Merin Designs in the past building their website and with their social media platforms but being a full-time student and working part time, I was never able to spend the quality time I wanted to help Merin Designs grow. Eventhough M D is a small company, there is so much potential and so many things to do. That's the beauty of a small company, where you get to work one on one with the owner, learn their vision and work on a variety of projects. -Create successful social media strategies: increase traffic in their social media platforms, interact with customers and engage with other accounts to bring traffic and increase MD's following. (Platforms: Instagram, Facebook, Pinterest, twitter and update blog). -Website Management: update new information, include press articles, upload videos, product description, manage inventory. -Email Marketing campaigns: create visual appealing emails to increase sales and enourage customers to share their merin love sending pictures and sharing them in social media. I don't have much experience doing email marketing campaigns but I've been seeing what other successful companies have done and will try to apply what I've learned. 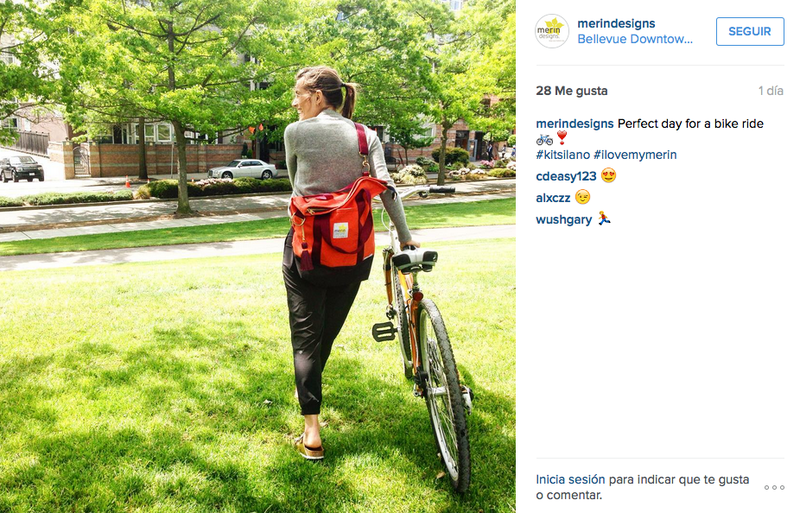 -Track results: of marketing campaigns (mailChimp), promotions in Instagram (iconosquare (Enlaces a un sitio externo. )), social media. 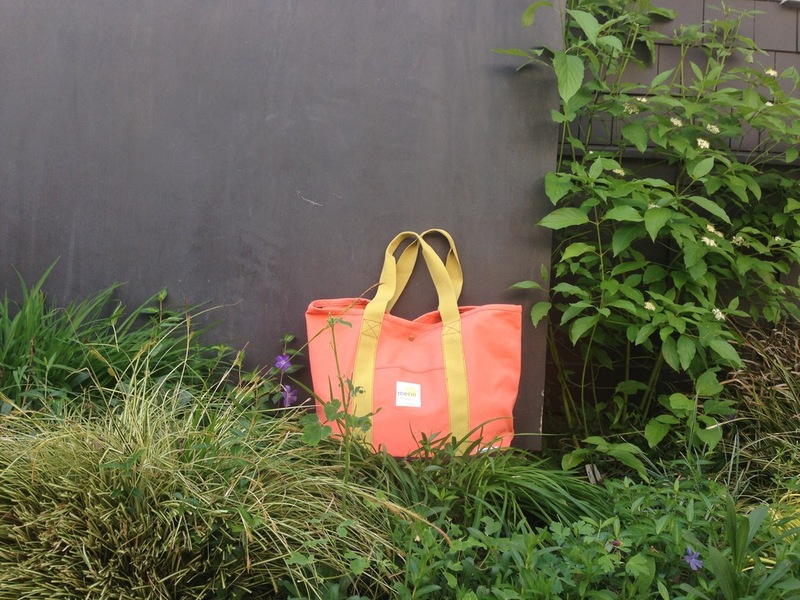 -Videos: small videos are a great way to make the product appealing and show potential customers the functionality of the bag; Shoot videos, edit them and share them in social media, website and emails. -Collaborations with other companies to create cross-promotions to reach out to new audiences and increase following: this is something I am really interested on working on, contact other companies or bloggers that have similar audience and related products to Merin Designs that would be interested in doing cross-promotions, giveaways to help reach out new customers and increase web traffic. For this Internship I will be working on-site for a few days a week to meet with the owner and I will be working from home the rest of the time. Some weeks I will be working on-site more than two days since we are working on some promotions and we will be meeting with other individuals for cross-promotions and giveaways through social media. I will be working with Illustrator to create different Illustrations, icons, logos and flyers, Photoshop to retouch, add text and edit pictures for the website, social media, emails... InDesign to create stylesheets for whole sellers's reference, Adobe Premier or iMovie to edit videos, SquareSpace is the website's platform so I will be managing the back-end of the site to create nice designs and add new information to the site and other needs for the company. I am really excited to work for Merin Designs this quarter for this Spring Internship and I feel prepared and capable to help the company with the goals I described above. This will be a great opportunity to use all my skills and learn new ones. Working on different projects for a small company has many benefits; problem solving, strategy, tracking results and working with a variety of projects at the same time. I think this will be great for my experience, since I am really interested in retail and marketing, and since I love the product and I believe it has great potential, I will be able to create exciting projects for them.